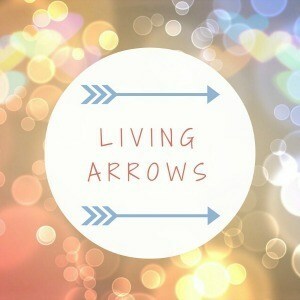 I've been a rubbish blogger of late and have missed two weeks of living arrows. The first week I had been so busy and just hadn't taken any photos at all. The second week I came down with an awful cold and throat infection which as lasted just over 10 days. So as I didn't want to miss another week, this weeks photo is courtesy of my mother in law. She looked after him at the beginning of the week for us one afternoon and this photo pretty much sums up Blake at the moment. He loves to help put the washing on before sitting and watching it til it ends. 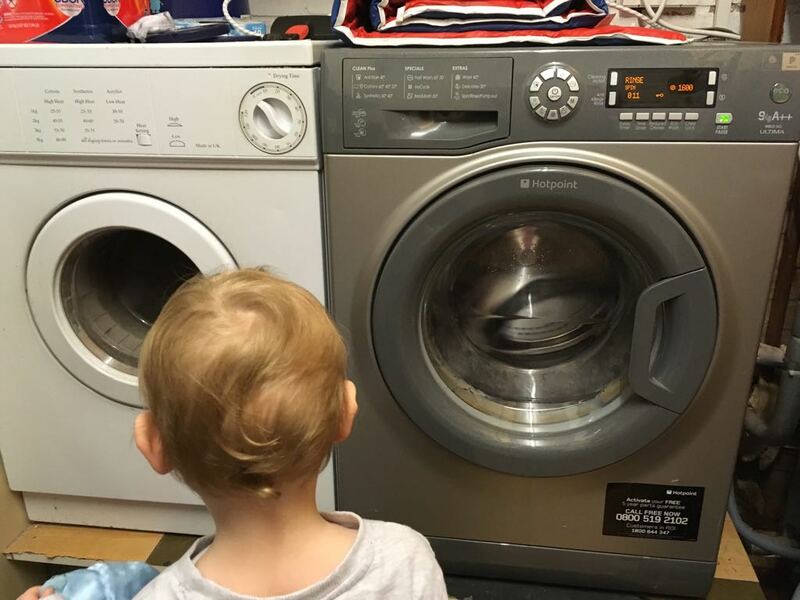 I can imagine the confusion on his face when he saw both the washing machine and tumble dryer over at his Granny's and not knowing which to watch. Oh gosh I hope you are feeling better now there really has been some nasty bugs going around. I hope that you will continue to heal. It is good that you have a helpful mother-in-law. Oh no, I am sorry to hear about your cold and throat infection. Hope you are now feeling better! Such a cute picture! I used to have a friend that liked to watch the washing machine work. He said it was inspiring! Weeks sometimes just seem to go past and before you realise it's months. We seem to have barely a few days between one bug and another at the moment, I'm so behind on everything. Wishing you better soon. I think it's the time of year for sniffles now. Awww don't stress about blogging. Life gets in the way sometimes and we can only do our best. I used to love watching the washing machine as a kid! Oh bless you, weve all been ill too, it's hard at this time of year. Hope you all feel better soon.